Everyone knows eating a protein-rich meal or snack can help you feel satiated and assist in keeping your weight in check. You’ve been working out, watching what you eat, doing cryo and making sure you get enough sleep, but sometimes it’s hard to eat nutritious foods when you are on the go. The Revivify team has compiled some of our favorite high-protein snacks that are delicious and easy to prepare. 1. Beef jerky: Just make sure there’s not too much added sugar in the brand you choose. Each serving contains about 9 grams of protein. 2. 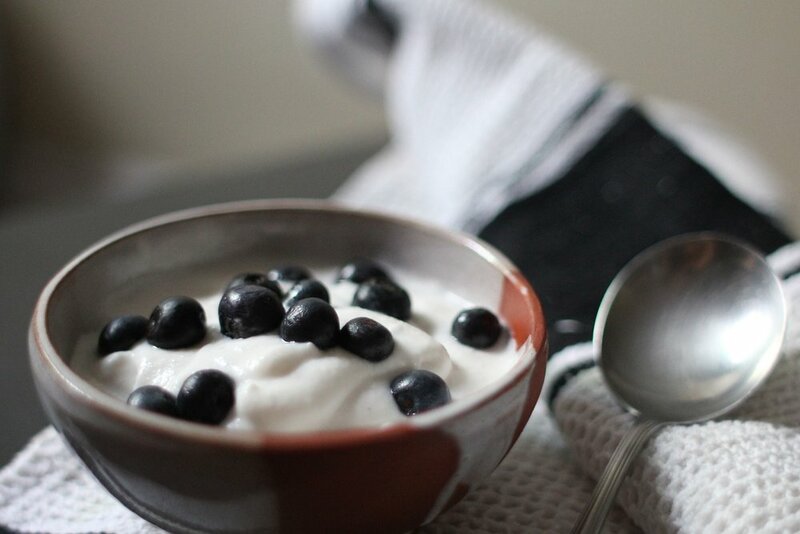 Greek yogurt and blueberries: Plain Greek yogurt packs in plenty of protein and adding blueberries gives you a bit of natural sweetness and antioxidants. 3. Hard-boiled eggs: The easiest way to make them is to place your eggs in a large pot and cover them with cold water. Bring to a boil and let them sit for 12-15 minutes. Add a touch of vinegar for easier peeling. 4. Assorted nut mixes: Go for the unsalted version for the healthiest option. 5. Celery and peanut butter: It’s easy to prepare and tastes great, especially if you are a peanut butter fan. 6. Packaged tuna or salmon: These days you can get ready-to-go packs that are easy to bring with you. 7. Cooked edamame: These soybeans in pod form can be packed in a sandwich bag and ready to eat instantly. 8. Veggies and hummus: We’re partial to the roasted red pepper flavored hummus, but mashed chickpeas will always be a flavorful and healthy option. So next time you need a snack, turn to one of your options. This will help you avoid packaged items that may be loaded with sugar, such as those chocolate-covered Kind bars you pretend are healthy.